Finding your way to my site is a sure sign that you are ready for change. You have found the support you have been looking for! You are truly ready. Are you longing for something special? But cannot define what it is? Are you longing to be more? To change your life and move in a more balance direction? Are you ready to grow & move beyond the confinements of everyday life? Are your dreams intense and asking you to change the way you live? Are you ready to create meaning & balance in your life? ​Have you tried conventional methods, only to walk away feeling misunderstood, frustrated & unheard? Well, you are in good company. These days, many people are experiencing the need to be in "right relations" with themselves so they can discover their unique gifts and talents. For some, this journey may reflect exploring new career opportunities or new business endeavors. For others, it may reflect deeper personal & physical changes: such as the healing of relationships, relocating to a place which has been calling you to move there for years, or confronting behavioral patterns which no longer serve your highest good. Still others will unlock a spiritual calling, uniquely personal and defined by their own inner “wisdom and remembering”. The next step is to take action and to be mindfully present in your life. By being present & paying attention to all that is happening around you. You will develop the ability to tap into your inner wisdom, release the things that no longer serve you, heal the parts of your spirit that need healing and learn to how to live in a meaningful & balanced way. Learning to trust our inner authority is priceless. Once you do, all that is needed reveals itself easily, effortlessly for your highest good and the highest good of all. 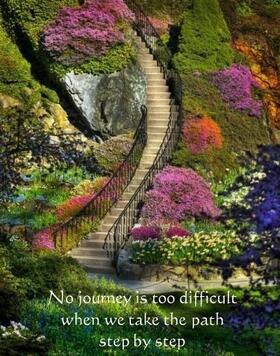 To support your sacred journey, I offer a variety of wellness modalities. These services include: Spiritual Guidance Coaching, Energy Cleansing, Limpias, Sound Healing Session, Reiki, Alchemical Healing, Curanderismo, Aromatherapy, Angel & Tarot Card Readings, Workshops and Teachings. These services are all offered to heal, educate, empower and embrace your unique wisdom & medicine. Now is the time for action...take your next step! ​"Mending Wings & Healing Hearts"
Start your sacred journey with my new client special.